Smooth Cheddar & Sour Cream Flavor. 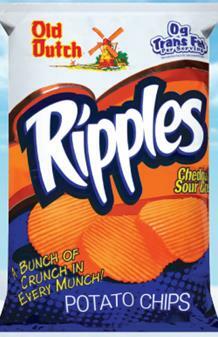 You'll have a rippling good time with Old Dutch Cheddar & Sour Cream Ripples. We pack two classic flavors into every bite.